A muddled or sluggish mind can heighten stressful feelings and impair memory or the ability to concentrate. A healthy brain requires healthy circulation for optimal functioning. 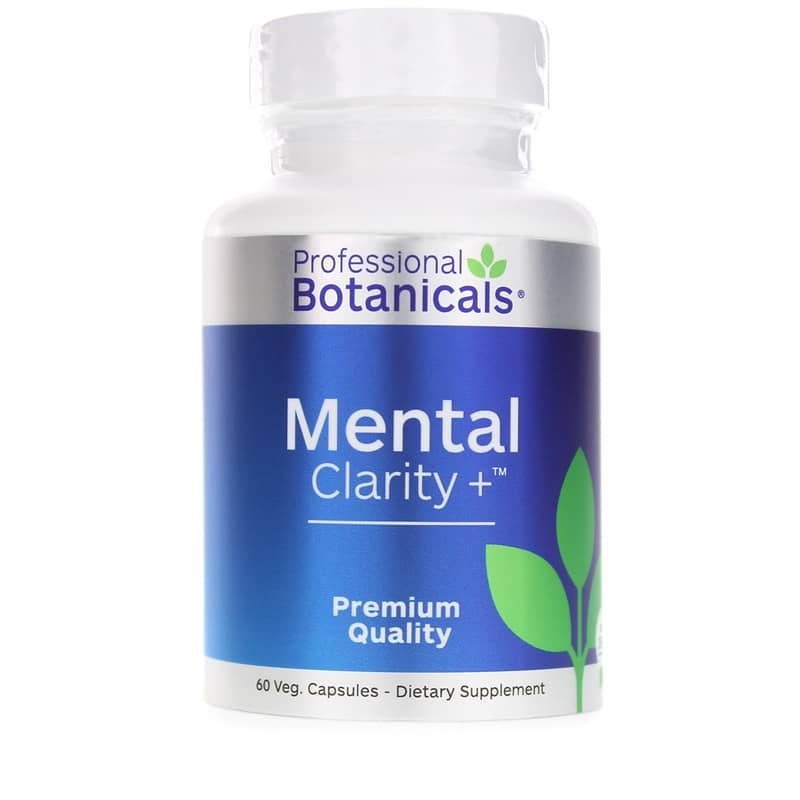 Mental Clarity + from Professional Botanicals includes a comprehensive blend of herbs & bee pollen to support healthy blood flow, energy, concentration and mental alertness while offering antioxidant protection. Also includes Eleuthero, Cordyceps, Rhodiola, Reishi, Ashwagandha and Gynostemma to support a a more resilient response to stress. Contains NO: gluten, GMOs, fillers. 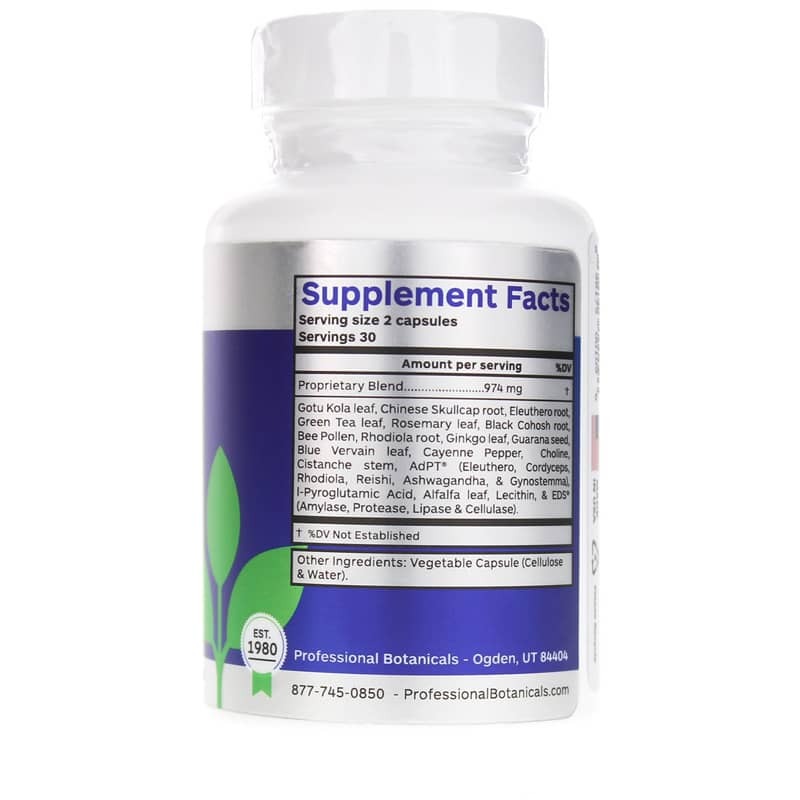 If you're seeking natural support for improved memory, concentration, calm alertness and energy, order Mental Clarity +now! 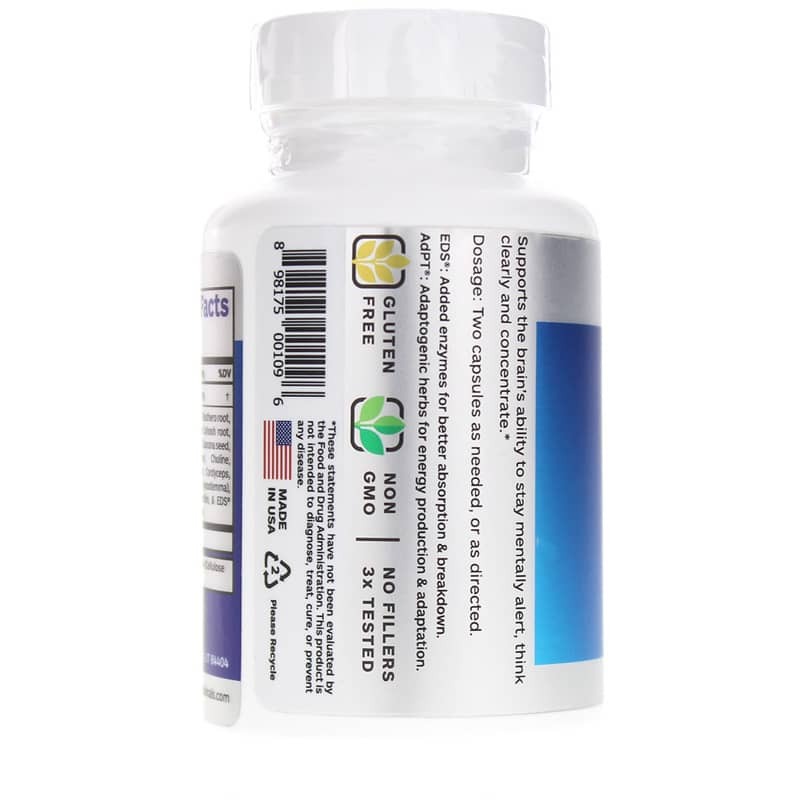 Adults: Take 2 capsules as needed or as directed by your healthcare practitioner.